Namak Para also known as Nimki is a crunchy savoury snack item, generally seasoned with cumin seeds or ajwain/omam. This is a tea time snack. 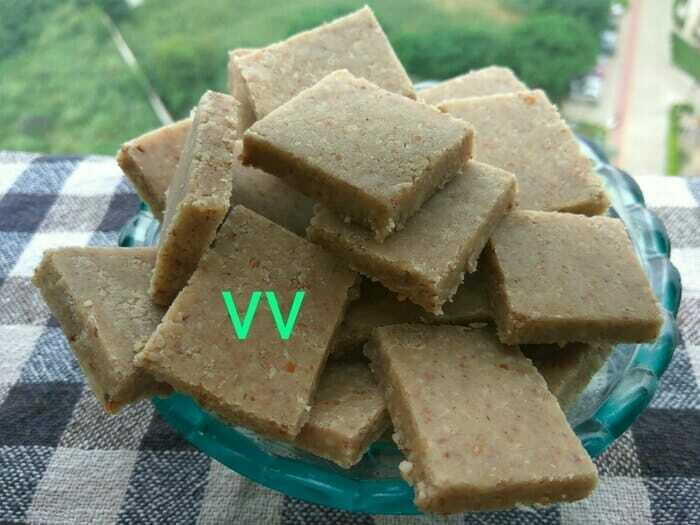 I have used jowar flour along with powdered semolina/sooji/rawa. The name Chakkarai Pongal or Sweet Pongal suggests that the dish is made with some sweetner. 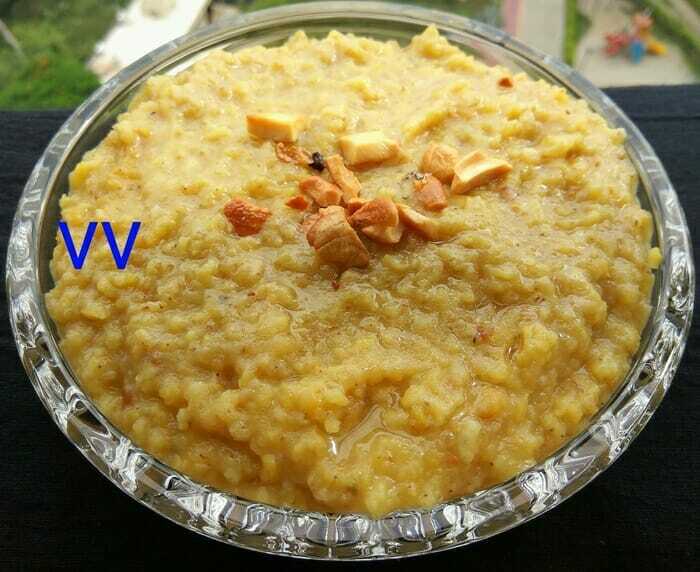 This dish is prepared in all Tamil houses for Pongal festival. Pongal is a four days long harvest festival celebrated in Tamil Nadu. This festival of thanksgiving to nature takes its name from the Tamil word “pongudhal” meaning “to boil” and is held in the month of Thai (January-February) during the season when rice and other cereals, sugarcane, and turmeric are harvested. It is an OPOS dish. Venpongal is offered to Lord Narayan during Margazhi month. It is one of the preferred breakfast dish in South India. It is a perfect blend of rice and dal with mild spices served with chutney, sambar, gothsu etc. 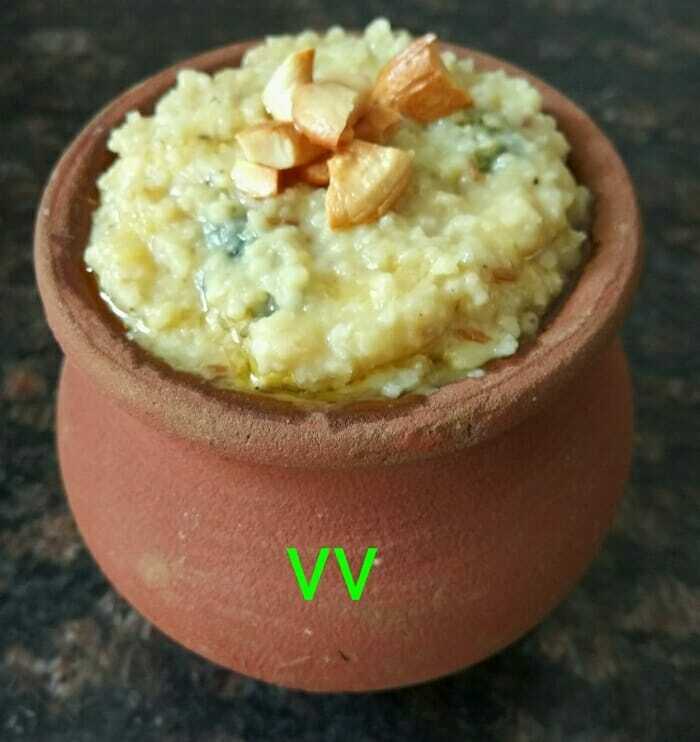 I have made pongal with Kodo, Little, Barnyard and Foxtail millets and all tastes awesome! Here, I have used Barnyard Millet. It is an OPOS dish. 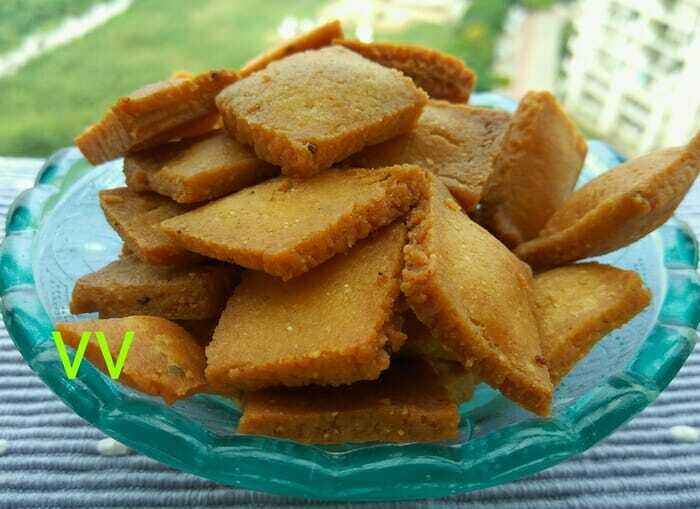 Badam Katlis are always enjoyed during festivals particularly Diwali. But the consistency of the sugar syrup plays an important role in deciding the texture of the katlis. By OPOS, this difficulty is eliminated and every time perfect katlis are possible, if the recipe is followed without changing anything mentioned below. Use a Kitchen weighing scale to determine the exact quantity. 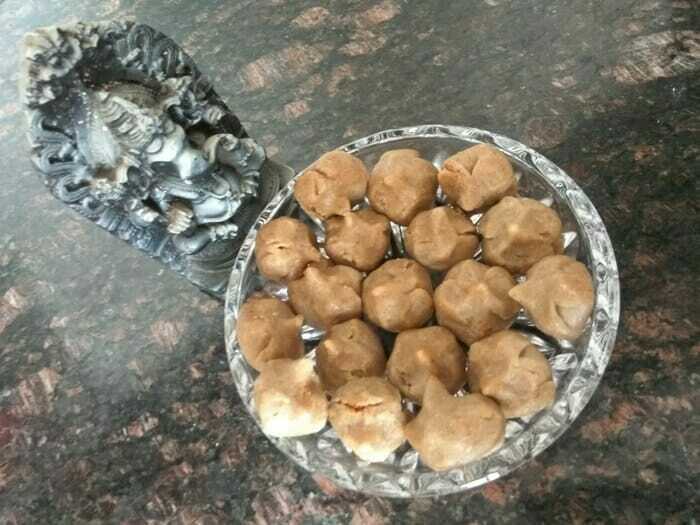 Modhakam/Kozhukattai is offered to Lord Ganesha. It is made using rice flour stuffed with various types of fillings. I have replaced rice flour by bajra/kambu. The flour becomes soft and supple by Autolysis . Ragi also works well and I have prepared modhakams many times using this millet.